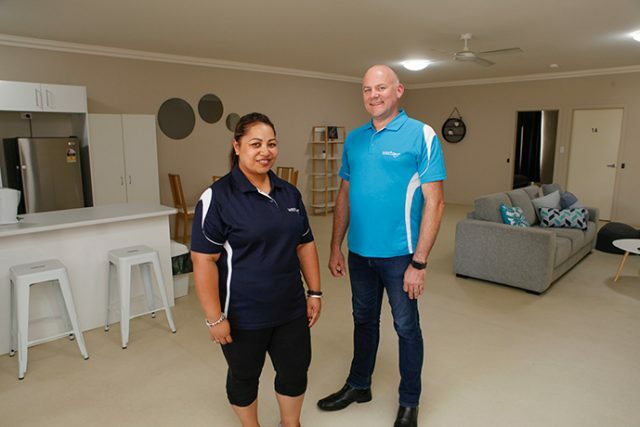 With high domestic violence rates in the area, a glimmer of hope shines as local organisations help provide safe temporary domestic violence refuge accommodation. What originally began as homeless crisis accommodation units, WestCare’s ‘1000 Safe Sleeps’ has transformed to fill a desperate need as a domestic violence refuge accommodation for women, having already provided 138 individual safe sleeps for mums and children since its launch in February. WestCare Director Andrew Paech said the ‘Fresh Start Go!’ Penrith domestic violence program has allowed their original vision to find meaningful fulfilment. “Safe sleeps now have a whole different meaning,” he said. The refuge has already provided vital accommodation to women across the area including a woman transported directly from Nepean Hospital with severe internal injuries from her partner’s assault, and a mother and her children who left a violent home situation. Latest BOSCAR figures show Penrith remains a hotspot for domestic violence as the fourth highest LGA for domestic violence-related assault incidences in the state, reaching 1,115 in 2017, up from 1,054 in 2016. “The biggest challenge is tackling the bigger picture knowing there is a greater need out there,” Mr Paech said. Specialised support and personal advocacy are provided to each resident by the West Connect Domestic Violence Services team, helping to guide them out of their dark experiences into a brighter future. When the clients leave the temporary accommodation they move to either long-term transitional accommodation or begin their new life in permanent tenancies. With the help of other local services including Nepean Food Services funded by Panthers, Penrith City CareKits and individual and organisation donations from the public, the women who are assisted by WestCare’s program are provided with daily meals, toiletries, toys for children and even clothing. “Providing a bed is one thing, but without the others it doesn’t lead to a solution to the problem,” Mr Paech said.